Home » Personal Empowerment » How Do You Cultivate Courage? How Do You Cultivate Courage? Well said. From my perspective, Growing is synonymous with Courage. I have worked with people who believe that ‘if they only had courage (or more of it), they’d be less fearful’. NOT TRUE! If you’ve ever felt that fear, lack of confidence, personal limitations, and the like are keeping you hostage? Are they keeping you from moving steadily in a productive direction? Go back to what’s important to you. It can be your life purpose, or it simply be what brings you joy. Allow what you’re passionate about to motivate you, and get really good at something that you’re passionate about. If you’re able to find that sweet spot where your passion merges with what you’re great at, you’ll find a sense of safety while you’re stepping outside your comfort zone. This will perpetuate growth. You’ll feel good about yourself, you’ll allow yourself to stay in an upward spiral, and you’ll see doors open and possibilities occur that might not have appeared otherwise. This blog, and all my writings, are explorations into the wondrous, deep, and ever-evolving process of living, loving and growing. My intention with Pebbles for Thought is to empower and uplift, one post at a time. 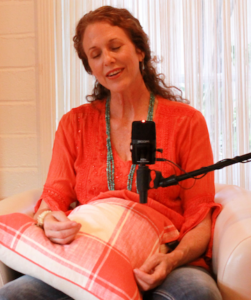 Click this button for introductory videos on Donna's mystic readings, and more.